The most highly anticipated iPhone handset ever has finally been unleashed by Apple and as strongly speculated, its called the iPhone 4S. Loaded with Apple’s dual-core A5 processing chip, a revolutionary dual-mode GSM & CDMA antenna, a stunning 8-Megapixel full HD 1080p camera, running the latest iOS 5 firmware and all new ground breaking Siri intelligent Voice Assistant, this is without a doubt the most advanced smartphone man has ever seen. While keeping the same form factor as the current iPhone 4, the fifth generation iPhone will be available in 16GB for $199, 32GB for $299, and 64GB for $399 on October 14th with pre-orders starting on 7th. These prices are based on a two year contract in the US. We have yet to hear about upgrade pricing from our ‘Big 3’ carriers. 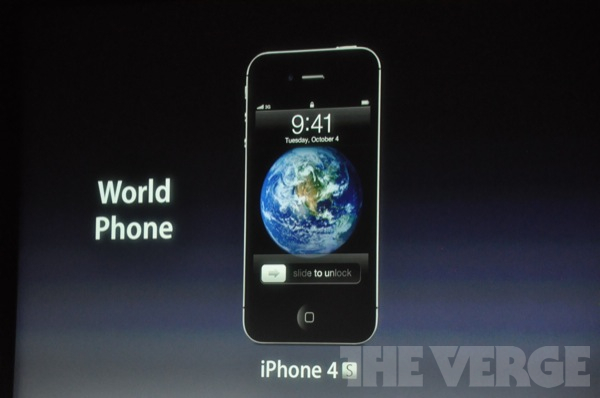 However, unlocked iPhone 4S pricing has been announced at $649. According to Apple, A5 processor is 2x faster and has 7x superior graphics performance than A4. It gives you 8 hours of talk time, 14 hours of 2G talk time, 6 hours of 3G browsing and 9 hours of Wi-Fi browsing. Secondly, iPhone 4S is a true “World Phone” with a new antenna system. It can now intelligently switch between the antennas for even better call quality, supporting both CDMA and GSM technologies in the same handset. Then comes the all new 8 Megapixels camera. 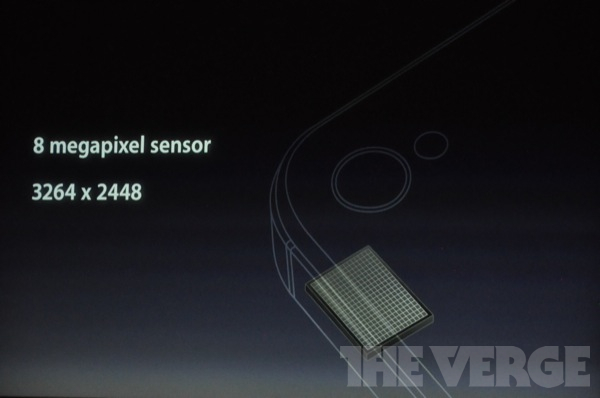 Sporting a CMOS backside illuminated sensor, iPhone 4S camera gets 73% more light than the iPhone 4 sensor, and is 1/3rd faster. On top of that, there is a high-end IR filter for greater accuracy and uniformity. 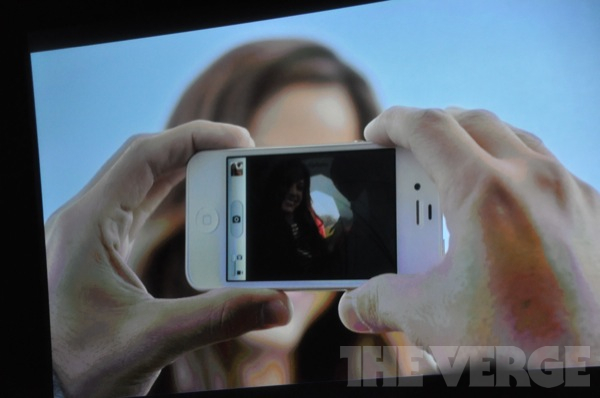 The new iPhone 4S takes just 1.1 seconds to the first photo, and just half a second for the next shot. 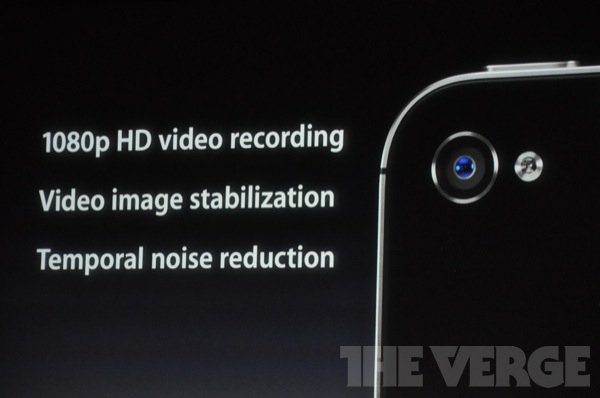 The camera also allows 1080p full HD video recording, real-time video image stabilization with noise reduction. Whoa! 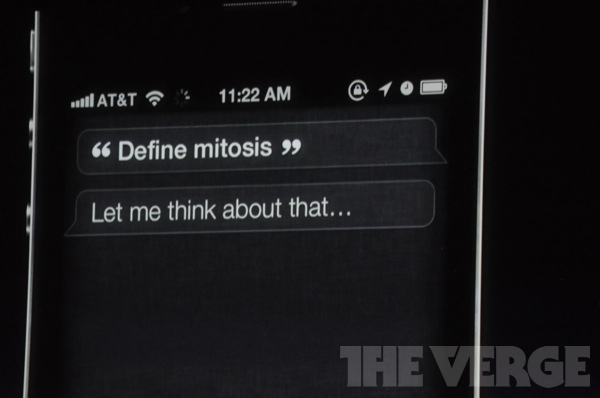 “What’s the weather like today?” Siri gives the forecast. You might ask Siri to make an appointment for you, and if you have something scheduled, it will tell you and ask if you want to move it. It has built-in support for English, French, and German. 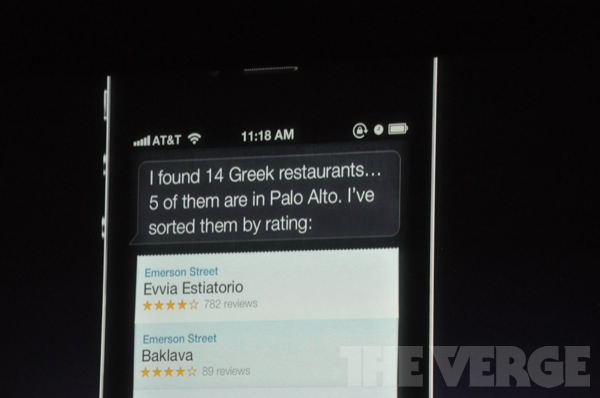 Siri will be in beta at the start while more languages and services will be added over time. 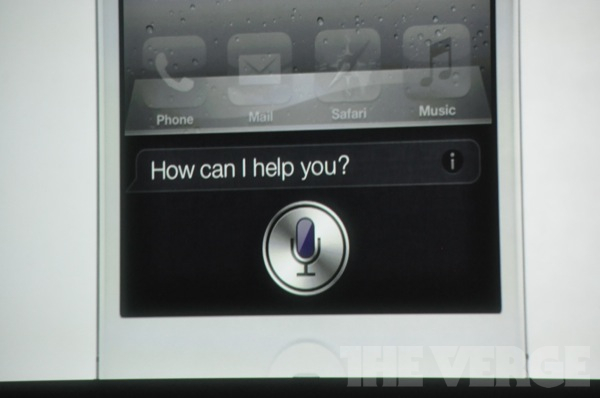 Unfortunately, Siri will not be available in Canada at launch. Other new apps released today by Apple included Cards and Find my Friends. 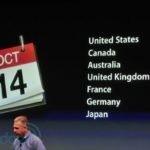 iPhone 4S will be available in United States, Canada, Australia, United Kingdom, Japan, France and Germany on 14th of October and will eventually be released in over 70 countries by the end of 2011 supporting over 100 carriers worldwide including Sprint. Pre-orders will start on October 7th, with stores set to open at 8AM on the October 14th launch.